It’s 9 o’clock Sunday morning, the sky is liquid sapphire and already the air temperature is 30°C. The grey horse in the paddock below my window is pulling up white tufts of dry grass from the baked ground; a hen stutters nervously into the vegetable garden and the bells of San Fernando Rey call worshippers to mass. 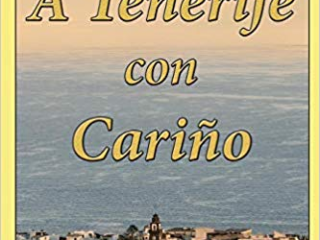 It could be a scene from a village in the Cotswolds, but instead I”M in the heart of rural Tenerife in a hamlet that, were there to be such a competition, would surely be a prize winner in the Island’s most picturesque village ““ Santiago del Teide. 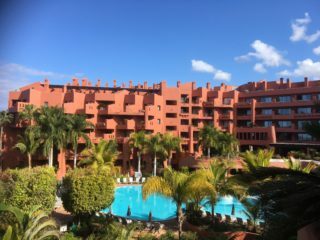 Nestling in a fertile valley in the South West hills, flanked by the little hamlet of Valle de Arriba and backed by Montaña Bilma, the Chinyero lava fields and Mount Teide; Santiago del Teide is the place where day trippers turn off to climb the serpentine ascent into Masca. 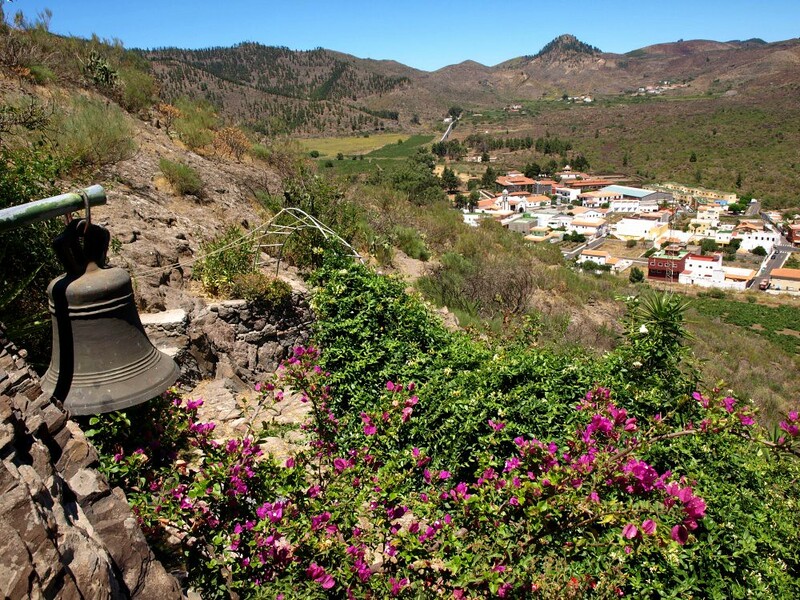 But to pass through this paradise without stopping is to miss one of the most charming rural settlements Tenerife has to offer. 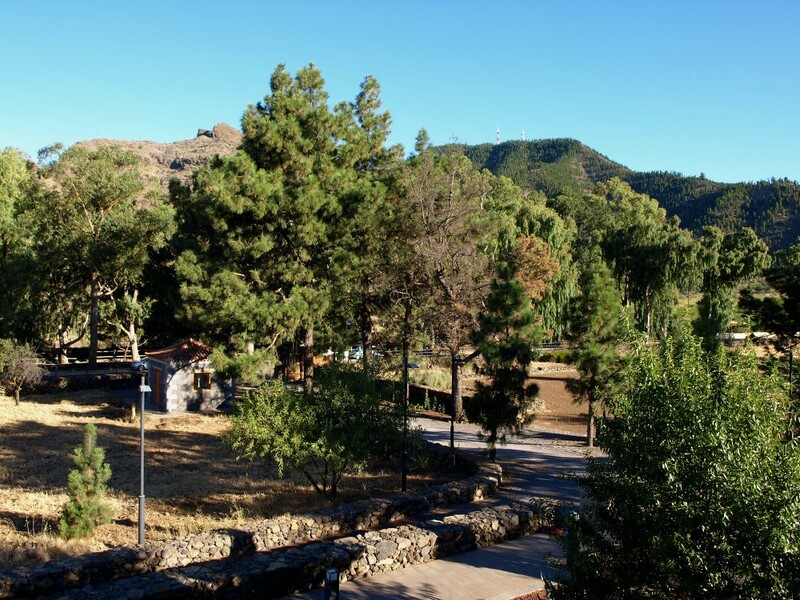 The doors of the picturesque Iglesia San Fernando Rey are always open and opposite, the little kiosk café is the perfect spot to crack a cool Dorada at the picnic zone beneath the shade of eucalyptus trees. And with the opening of the Casa del Patio at the end of 2009, there’s even more to Santiago than just the prettiest of faces. 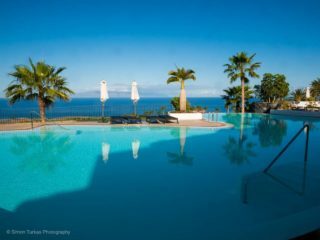 Beautifully restored by the Cabildo (Island Government), the 17th century former home of the feudal lord of the manor provides sustenance and entertainment in equal measure with riding stables; a tasca; art gallery, craft shop; bodega and Chinyero museum. The SeñorÃ­o del Valle visitor centre which includes Casa del Patio, has added a real touch of class to the traditional fare which forms the staple diet of los campesinos (country folk) prevalent on menus in the village. 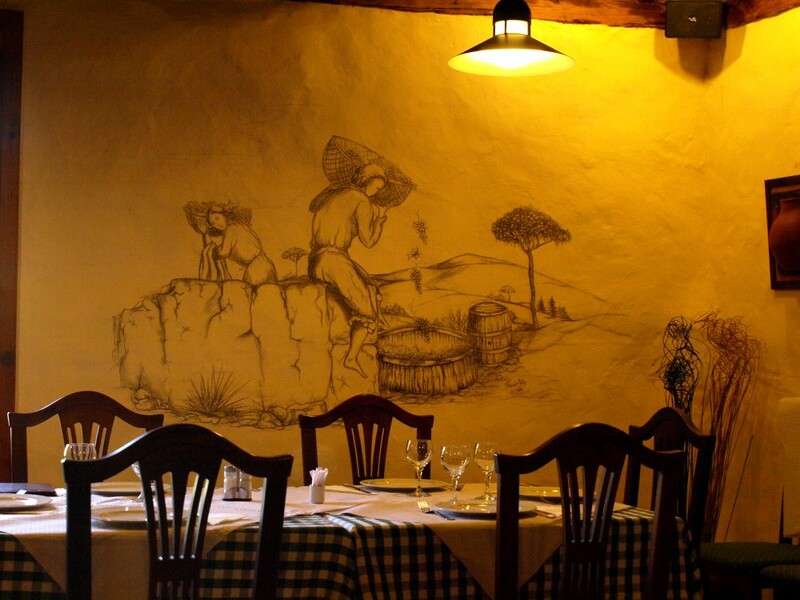 A charismatic tasca with bijou bar, beautiful courtyard and dining room with hand drawn murals of traditional rustic scenes provide the setting for a typical Canarian menu with a good selection of tapas, meat and fish dishes. The food is all freshly prepared, flavoured with fresh herbs from the kitchen garden and cooked to perfection. There are a few eateries in the village, all serving variations on the staple Canarian menu alongside the occasional arepa or burger. 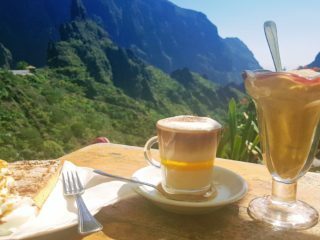 The Chinyero restaurant is landmarked by a life sized model of a horse and trap and its spacious courtyard attracts many of the day trippers en route to and from Masca. Portions are generous and the terrace is a pleasant place to sit and watch the world go by. Just a small, raised outside terrace means that the El Patio restaurant in the village gets fewer visitors but it has ample space inside its traditional dining room and the food is a cut above Chinyero’s. 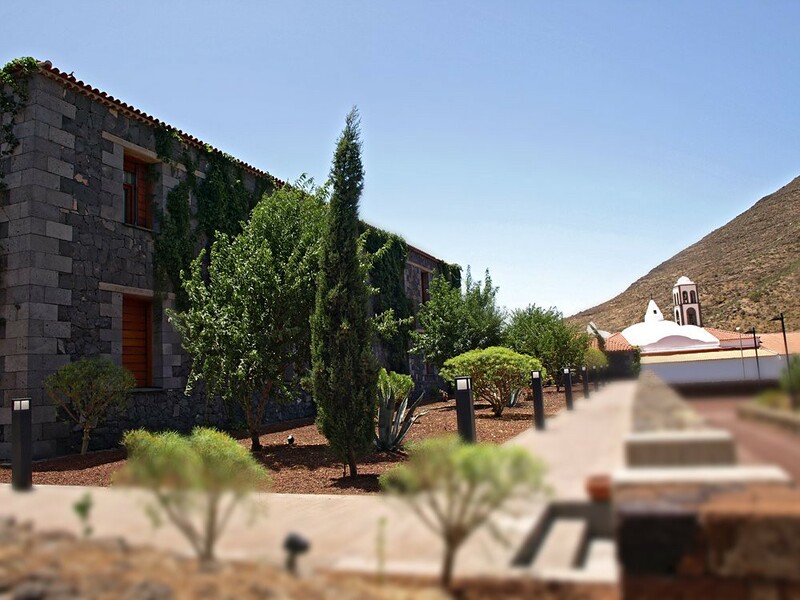 Standing proud alongside its visitor centre, the brand new Rural Hotel SeñorÃ­o del Valle in Santiago del Teide opened its doors in March 2010 and exudes rustic charm and tranquility. The grounds ramble lazily from the vegetable garden and paddock to the courtyard with traditional wine presses and the stables, all populated by the resident horses, hens and ducks. When the caged parrots join in with the morning chorus it’s a regular Granja de Viejo McDonald affair. Vines are just beginning to creep their way along the stone walls of the hotel, softening the faÃ§ade with their presence while inside, the decor is an elegant combination of contemporary and traditional. Mudejar ceilings and polished wood offer a cool retreat from the heat of August but the sight of a large wood burning stove in the lounge area promises cosy winter nights in front of a log fire. Bedrooms are in a quadrangle surrounding a sun-saturated courtyard with an ornamental pond and fountain. Each room is individually decorated and named after a local flower. I”M in ‘ajinajo’ with views over the paddock, gardens, picnic zone and a landscape that elicits an instantaneous long sigh of relaxation. Testing the king-sized bed for comfort it’s difficult to pull myself away from this rural luxury but the view beyond the window is beckoning, so it’s on with the factor 25 and the rucksack. 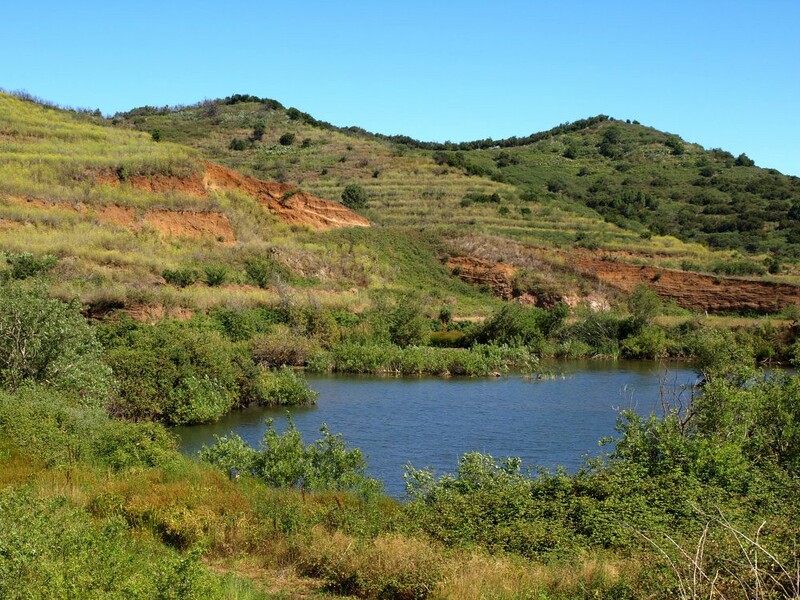 Beyond the neighbouring hamlet of Valle de Arriba and over the crest of the ridge lie the stunning Erjos Pools, a wildlife haven and natural beauty spot. After exploring the pools on a dragonfly and duck spotting quest, I climb up to the ridge and make my way into the cool shade of the forest to finally emerge with unbelievable views over the Santiago Valley, before dropping back down to the pools. After an excellent lunch of carne de cabra (goat) at the hotel, I brave the afternoon heat on the little Camino de la Virgen de Lourdes path which climbs the hillside in the centre of the village to a small shrine and fountain. 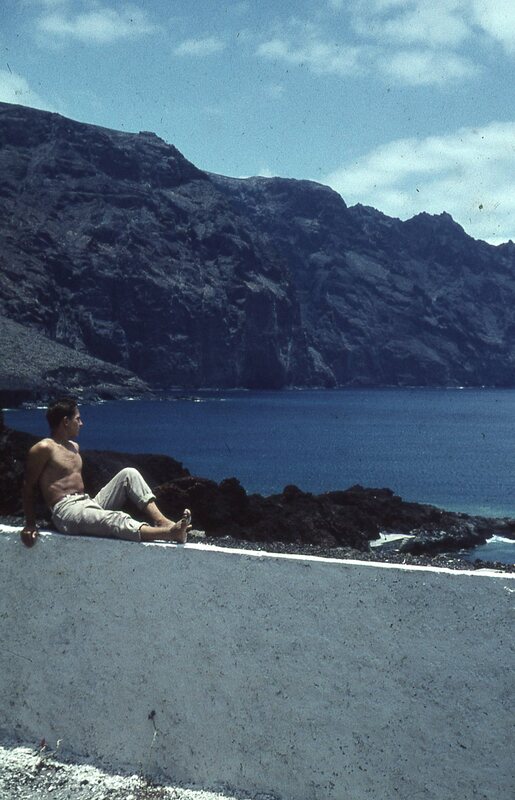 From my vantage point amidst the heady perfume of honeysuckle and roses I look down on sleepy Santiago del Teide and wish the weekend would last for ever.